After 35 years of experience in selling green coffee beans, Nicolas Bellangé created Cafés Tchanqué : a local coffee brand based in the south west of France with the motto "sharing and friendliness around grand cru coffees. 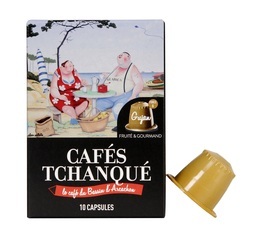 Cafés Tchanqué is a range of capsules compatible with Nespresso, ground coffee and coffee beans with carefully selected blends. 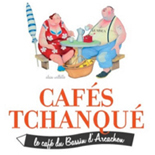 As a bonus, each coffee name references town names or neighbourhoods in the Arcachon Bay. 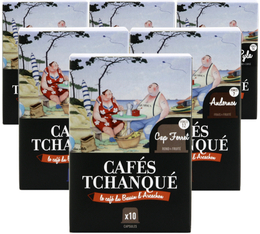 "Les Cafés Tchanqué" definitely is a coffee we share in the morning before leaving the house, after a good meal, or in the evening : a calm and carefree moment to appreciate the flavours of these blends !